Football League (NPFL) has two weeks to spare. Peter Eneji’s 89th minutes screamer from 25 yards cancelled out Rivers United’s Emeka Ogbugh’s first have goal. The Jos side will have to wait a bit, before they can lay claim to their first premier league title in history. MFM FC led by the significant trio of Sikiru Olatumbosun, Stephen Odey and diminutive Chukwuma Onuwa failed to leverage on Plateau United’s flop in order to close the gap. Abia Warriors won the game in the second half after midfielder Arinze Nwangwu put the host in front, heading home Sherif Bashir free kick. The Umahia based side are placed in the 10th position, with 50 points while MFM maintain second position on 59 points. Akwa United edged Lobi Stars in a 3 goals thriller on Friday evening. Musa Newman and Gabirel Okechukwu gave the homers the two goals, while Kingsley Eduwo managed to pull one back for his side. The Promise Keepers are still hopeful for a continental ticket as they are currently seated in the 3rd position, same points with Enyimba, but ahead on superior goals. 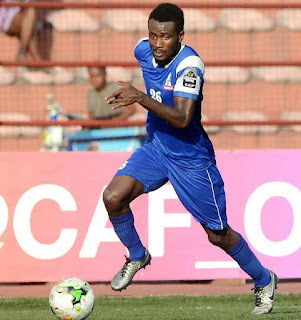 Musa Usman opened the score line in Pantimi Stadium when he put Gombe United in front before Wasiu Alalade leveled proceedings for the visitors. Usman completed an exciting performance by getting his second goal of the encounter, which saw his side see off ABS FC. Another brace in Match Day 36 came from the boots of Katsina United’s Chinedu Udechukwu, which helped his side to increase their chances of drowning in the relegation zone. Enyimba continued their chase for a place in the top 3 with a classic 4-0 thrashing of Wikki Tourists. Ikechukwu Igbenegbu drew the first blood for the Aba Giants before Stephen Chukwude, Stanley Dimgba and Chinonso Okonkwo comleted it 4 for the Peoples’ Elephant. Remo Stars woes continued despite sealing relegation from the top flight. Defending champions, Rangers defeated their host 2-1, thereby securing a place in the NPFL. In Maiduguri, El-Kanemi Warriors shared the spoils with visiting Shooting Stars Sports Club. 3SC restored parity just minutes before the blast of the whittles. Heavy downpour halted the Niger Tornadoes and FC Ifeanyi Ubah clash in Lokoja, with the Nnewi side leading by a lone goal, on Sunday. However, Tornadoes eventually came from a goal down to claim a 2-1 victory over the visitors on Monday.